Vacations are a big commitment. You want to make the best of your too-short time off and find the best of the best while you’re there. The problem with sites like TripAdvisor and Yelp is that yeah, you get a snapshot view of what you’re interested in, but you don’t really know what it’s like until you get there—at least, that's how I felt traveling to San Pedro, Belize. Even though I only spent a weekend there, I feel like a combination of planning ahead (with those aforementioned travel sites) and going with the flow gave me a feel for the best Belize has to offer. Below, my own tips for making the most out of a short jaunt south. Opt for the mini-plane; trust me. 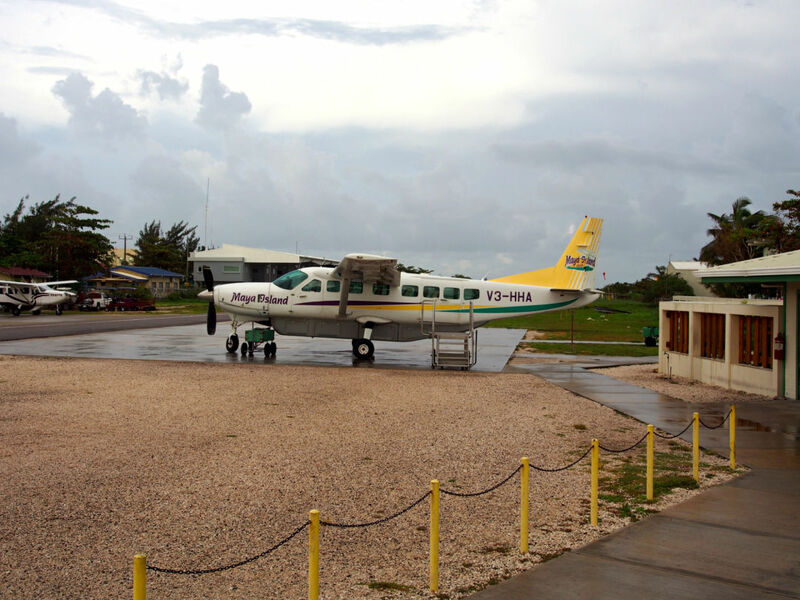 Only a 2 ½ plane ride to Belize City, piece of cake right? After going through customs in the most adorable little airport ever, complete with duty free liquor stores advertising Rough flight? We’ve got complimentary shots!, you’ve got two options to get over to San Pedro—boat or mini plane. The mini plane is the way to go. The boat a) takes much longer b) is not at all scenic and c) isn’t that much cheaper. The mini-plane, on the other hand, takes you on a gorgeous ride over the ocean and islands and the flight only takes 20 minutes. First off, don’t worry about exchanging your U.S. currency at the airport ahead of time. Almost every store and restaurant accepts U.S. currency and will give you Belizean change unless you request otherwise. Also, don't have a heart attack when you see that prices for everything seem "double" at first glance; remember that one Belizean dollar equals 50 cents. From my experience, there’s a reason The Phoenix Resort is rated #1 on TripAdvisor. But there are a few things those customer reviews don’t always tell you. 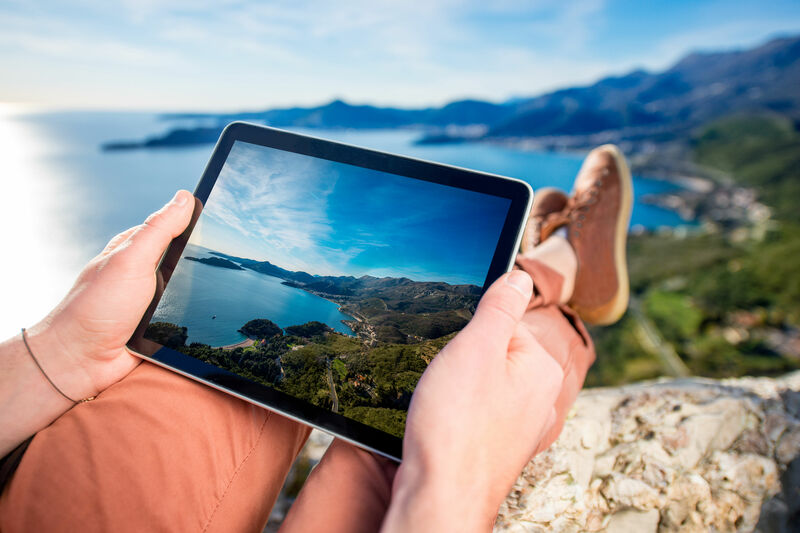 For instance, there’s a whole lot of “complimentary” here, including everything from bikes, paddleboards, kayaks and an onsite gym, to iPad and cellphone usage—you even get a complimentary bottle of Belizean rum (for those of age of course). The Phoenix is also home to Red Ginger, one of the best restaurants in San Pedro, where the top-deck bar offers a free-drink happy hour every day from 5 to 6 p.m. and the local rum is where it’s at. All the freebies aside, one of my favorite parts about The Phoenix was the staff. The staff is professional, but they’re also friendly. There’s a reason their website says they’re “kinda obsessed with [their] guests…and [they’re] not afraid to show it.” They make you feel like you’re not just another visitor, but a guest at your best friend’s house—a theme I noticed throughout Belize itself. 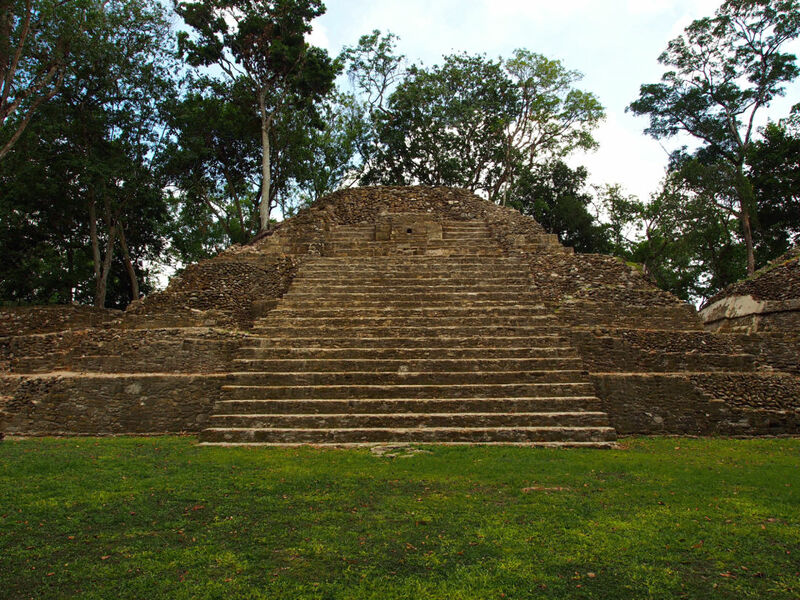 Mayan ruins, like that of Cahal Pech, dot Belize. 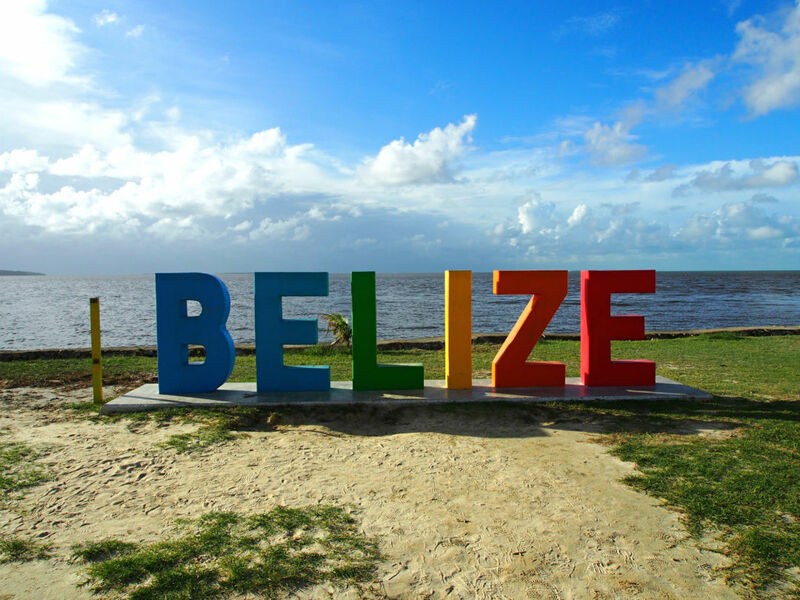 Belize specializes in surf and turf—or rather, the ocean and the rainforest. 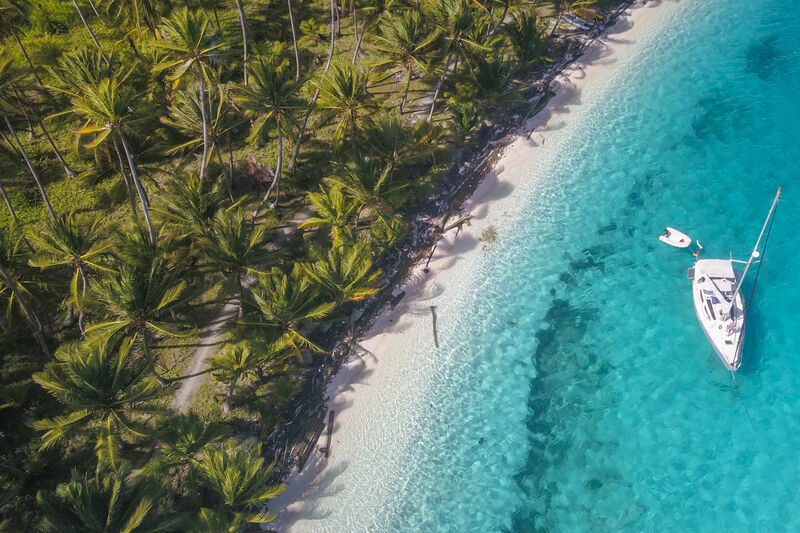 With the best of both worlds, you can easily explore the jungles and caves on land or dive at some of the best snorkeling and scuba spots—including the second largest coral reef in the world. For my offshore excursion, I booked the Island Dream Tours Mid-Day Snorkeling Sail. The day started with a cocktail in hand (of course, this being Belize, there was a bartender on board) and a nice boat ride over glassy turquoise Caribbean waters to Hol Chan Marine Reserve. We weren’t even at the actual reef and I was already delighted to see a stingray skimming the sand. Multiple tour guides led the way as we free dove down into the reef to gently coax various marine life towards us to pet. I took a shot at free diving myself and after figuring out how to pop my ears, I was swimming through gaps in the reef surrounded by fish and channeling my inner Little Mermaid. We saw a manatee float gently by, which we heard was a special treat. Afterwards, we head over the Shark Ray Alley, which you guessed it, is home to nurse sharks and stingrays. Now, the guides warn you not to get too close once they start feeding the sharks, but of course, I couldn't help myself. Just be warned, if you decided to swim under the mass of sharks, rays, and fish eating near the surface to get a nice shot, you might have a nurse shark sniffing at your leg, wondering if you taste good. Thankfully, they don’t eat red meat, but don’t leave it to chance. Anyways, when you keep your distance, the tour guide will often dive down a coax a nurse shark or sting ray for you to pet. And you can tell the guides have a way with these little guys, because I swear I saw the nurse shark grinning like a dog as it got its belly rubbed. After all the excitement it’s only natural that you work up an appetite and crave something refreshing to wash the salt water out of your mouth. Good thing they had plenty of food, cocktails, and Beliken (the local and very refreshing beer) to go round. The tour includes a traditional Belizean lunch of spiced grilled chicken and some of the best fall-off-the-bone ribs I’ve had in a while—and that’s saying something considering I’ve grown up in Texas. They save the fresh shrimp ceviche and “squirting rum gun” for the ride back. One more note: Island Dream Tours has named its boat the YOLO because yes, you only live once and you better live it up. I did a lot of research when considering which tour group I would use because there are plenty to choose from in Belize. And the Tuff E Nuff Mayan Ruin, Cave Tubing, and Zip Lining Tour was a choice I did not regret in the slightest, and not only because the six other tourists on the tour were from Texas (coincidence or fate?). Sure you start the day at 6 a.m., it's worth it—beginning with the “Ferrari” golf cart ride to breakfast at Ruby’s Cafe, a local spot known for its johnny cakes. After that, not only do you get to take another scenic mini-plane ride to Belize City, but the bus ride to Cahal Pech, the Mayan site we visited, is equipped with plenty of sodas and Beliken to go around (although you might want to hold out for the ride back so you don’t end up falling off a historic Mayan temple). While you’re climbing the mossy steps of the temple, you'll run across critters ranging from iguanas to scorpions, which our fearless tour guide, Flaco, simply picked up and removed from our path. After achieving your step goal for the day in one hour, you head over to the next site for an authentic Belizean lunch. The spiced chicken, beans and rice were my savior that day. I had thirds. Once you’re suited up, you grab a tube and take a hike—through a rainforest that is. Beware, however—if you thought scorpions were bad, you’ll have to watch out for Flaco; he likes to run ahead and hide in the cave alcoves you walk through then jump out. Once you make it to the mouth of the cave itself, you’re in for a wild ride. Don’t worry, there aren’t any rapids, but the tour through the caves is pretty wild considering you’re being splashed and spooked by the tour guides from time to time, then gently floating from one cavern to the next with your head lamp revealing one incredible sight after another. 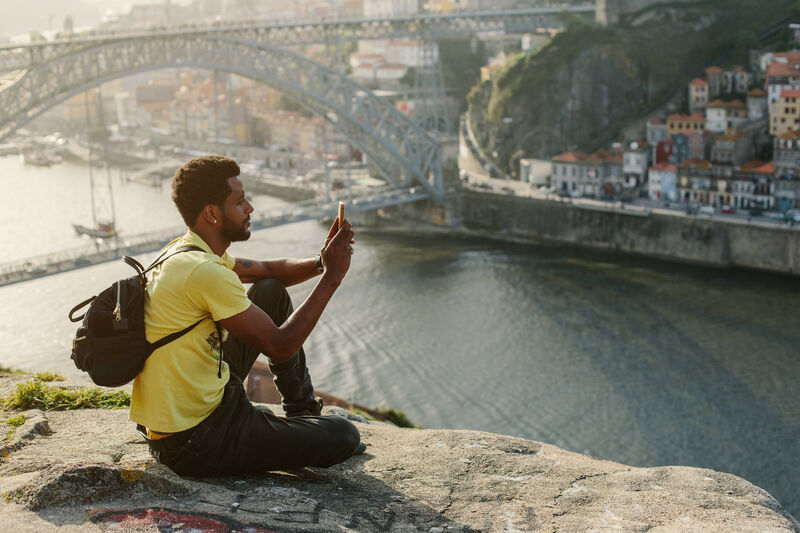 Even though you’ll find yourself mouth wide open in awe, make sure you shut it quick because although you want to experience the tour to the fullest, I don’t think that means wanting a taste of the guano the tour guides talk about. Once you make it out of the caves and down the river, you’ll get the chance to change into some dry clothes before zip lining through the rainforest canopy. The zip lining tour starts off with the “bunny slope,” which is a smaller zip line, before working your way up (literally) to the big boys. I don’t know if it’s all the hiking you do to get from one zip line to the other but the experience is breathtaking. 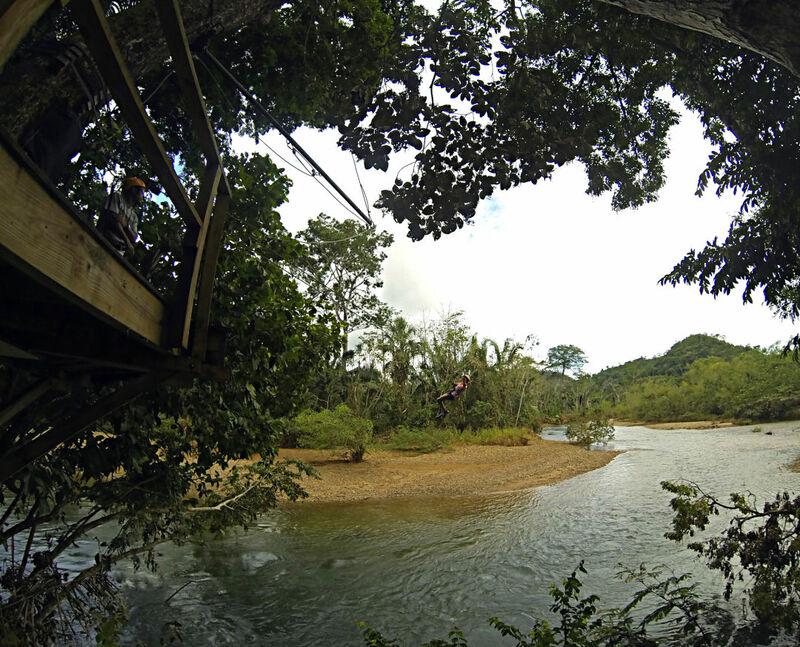 While most the zip lines go through the rainforest itself and are surrounded by the flora and fauna of the jungle, one of the last runs of the day takes you high up over the river and canopy line. I don’t know about you, but one of my favorite parts about vacations is the food. Who am I kidding? I’m pretty sure it’s everyone’s favorite part. The good news about that—San Pedro has plenty of authentic Belizean cuisine. But don’t worry, they even have a famous grilled cheese restaurant if you need your American fix. Mesa Cafe: This cute modern café run by an enchanting Aussie couple offers heavenly coconut French toast and a Spicy Chicken sandwich with fried plantain chips that might have been the best sandwich I’ve had in my life. Not only was the food fresh and well crafted but it was beautifully prepared. Elvi’s Kitchen: A favorite around the island for good reason, this spot is as authentic as it can get both in atmosphere and food—I mean come on, the floor is packed sand despite its location being in the heart of San Pedro and away from the coast. They host a Mayan Feast every Friday night, which is perfect if you want a bite of everything. 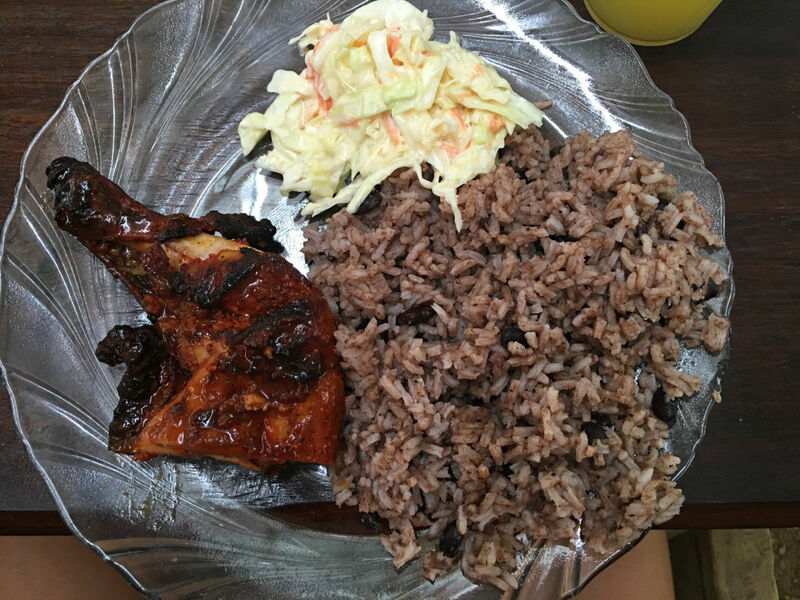 Otherwise, you can look for Elvie’s Famous Fried Chicken and other Belizean specialties. Fun fact: Elvi’s was the first restaurant on the island. Blue Water Grill: If you’re looking for a place that epitomizes a tropical vacation, this is it. 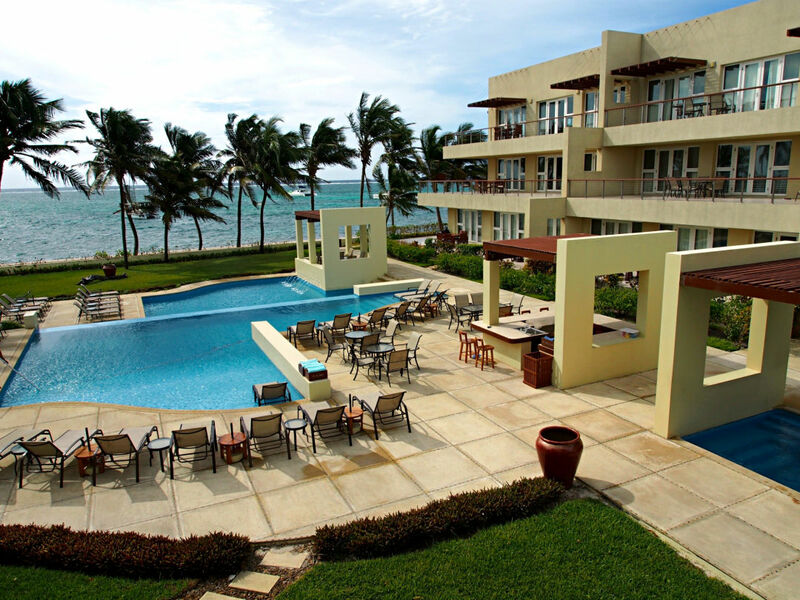 Located on the beach with a view of the ocean, the open-air seating lets you enjoy that ocean breeze. Their specials are to die for and change daily, but they go quick! They’ve got seafood, pasta, wood-fire pizzas, and sushi on Tuesdays and Thursdays. Red Ginger: As previously mentioned, this is the perfect place to have a drink at the upstairs bar, then head down to the restaurant for tapas and live music on Wednesday and Sunday nights. My personal favorite was the coconut shrimp with a sweet-and-spicy sauce. And the best part is that you can’t go wrong with the regular menu either, which features some popular dishes from the Americas and the Caribbean with a modern twist. Fido’s Courtyard: Fido’s is known by both locals and tourist alike as the place to go for live entertainment every weekend. You can order a signature Rum Punch or go for one of their humorously named shots like the Horny Little Indian or Surfers on Acid. Once midnight hits, Fido’s is done for the night. That doesn’t mean you have to be done for the night too, though. Follow the crowd (and there is likely to be one) onto the beach right off Fido’s deck and they’ll lead you to the next stop. The Jaguar: There are only two clubs on the island and this is the one to be at. Locals usually don’t flock here until after midnight, so you can either have another drink at the bar outside the club, or head into the jaws of the Jaguar (literally, the entrance to the club requires you to walk through its jaws) to dance the night away or head up to the upstairs bar. Just be warned, if you arrive anytime before midnight, or even slightly after at times, it will likely be dead. Don’t let that stop you though! Do your thing or stick around for more people to show up, because they will show up. All in all, and this goes for anywhere you visit in San Pedro, get to know the locals. 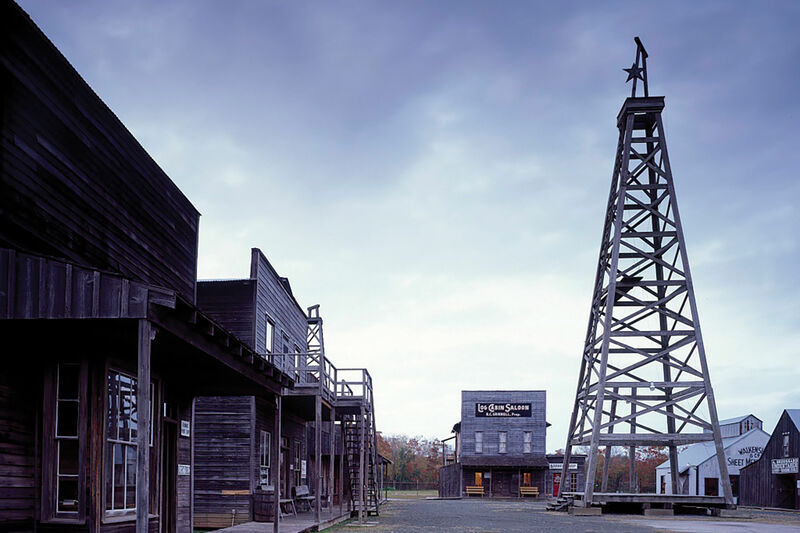 They are incredibly high-spirited and friendly people who love to help tourists have a great time. Not only that, but they are resilient people. Despite the hurricane that had hit a week prior to my stay, the island was already back on its feet. Everywhere I looked, the people of Belize were coming together to rebuild their home, showing that nothing can keep them down, and always smiling through the storm.